Measures %Brix and Potential Alcohol (% vol). The MA884 is optical instrument that is based on the measurement of the refractive index of a solution. The measurement of refractive index is simple and quick and provides the vintner an accepted method for sugar content analysis. Samples are measured after a simple user calibration with deionized or distilled water. Within seconds the instrument measures the refractive index of the grape. 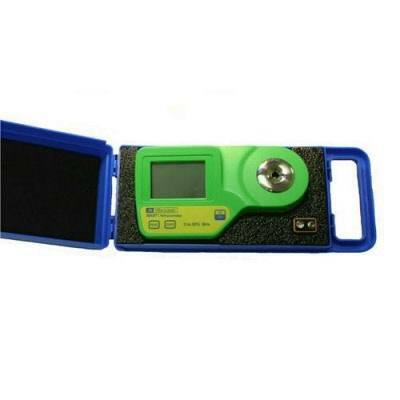 This digital refractometer eliminates the uncertainty associated with mechanical refractometers and is easily portable for measurements in the field. A carrying case is included with this order.